Ticket prices are $55, $40 and $25 and go on sale October 12, at 10:00 a.m. Pullo Center members can order now. Tickets can be purchased at the Pullo Center Box Office, charge by phone at 717-505-8900, or online at ThePulloCenter.com. The North American tour of SCOOBY-DOO LIVE! MUSICAL MYSTERIES reunites the Australian tour’s creative team: writer and director Theresa Borg, composer Craig Bryant, and choreographer Katie Ditchburn. This team was also responsible for the recent tour of Sesame Street Presents Elmo’s World Tour. Scooby-Doo has been delighting families for decades, and today, with 99 tour stops, sold out performances and thousands of fans attending each show throughout Australia, WBCP and Life Like Touring are thrilled to be bringing SCOOBY-DOO LIVE! 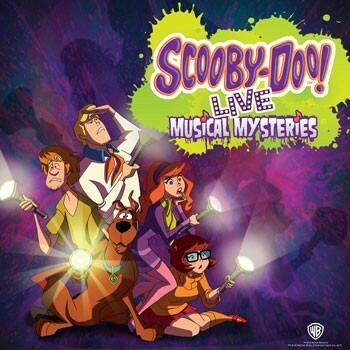 MUSICAL MYSTERIES to all Scooby fans in North America.